A picture comes along that grabs me in some way. Today, this one brought tears to my eyes. Don't ask me why. I'm not sure I know. But there's something in his eyes here. The word that keeps coming to me is gravity. Perhaps I'm just extra-emotional right now after all of the horribly unlucky injuries to many important players for BVB and Germany. Or it's my oncoming PMS. Whatever! Who knows! Just felt like putting it down somewhere. 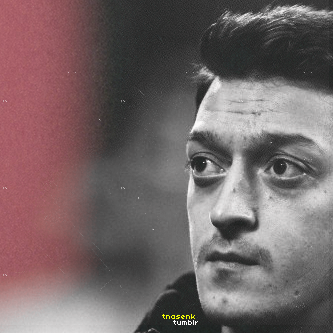 I've interpreted the song in my own way using pictures of Mesut and a simple timeline... to tell a story of sorts. Maybe it only makes sense in my own head (which wouldn't be unusual)! But hopefully you can at least enjoy the pictures! Just press play on the video and scroll through the pictures as you follow along with the lyrics. 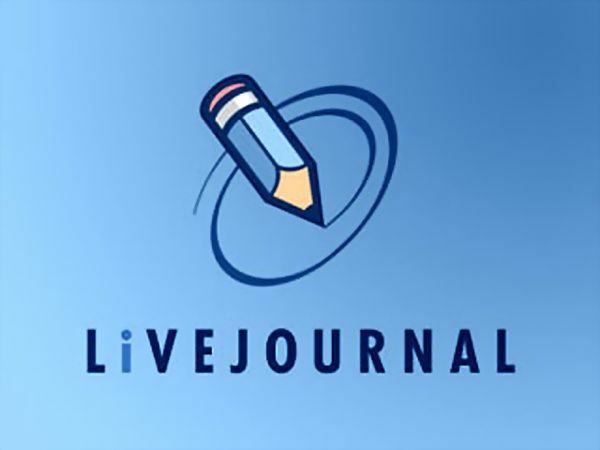 If you are new to LiveJournal, here are some quick tips. It can be a little confusing at first, but this should help you get started! 1. Create an account. You can also log in using other means, such as twitter or Facebook, if you'd prefer. 2. Create a profile picture. Click on your "Home", then "Profile", then "Manage Userpics". You will be aloud to have up to 15 userpics, with one set as a default. The others you may select from as you post and comment. 3. To leave a comment simply click the appropriate "comment/reply" button on the page. You can leave your own comment, or reply to one that someone else left. 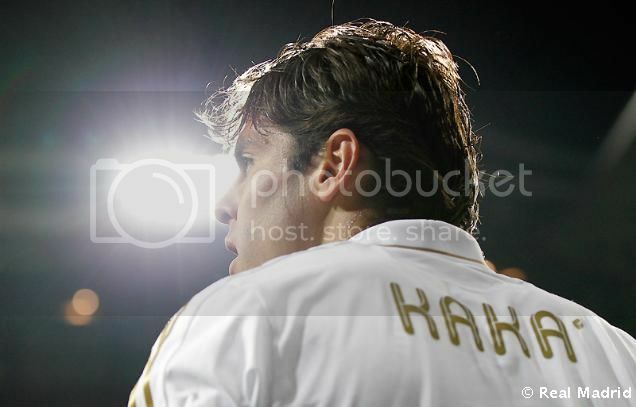 I made this for a friend of mine... She's a huge fan of Kaká's, and well, she misses the player he once was. I have a special place in my heart for him too because he was the first footballer that ever caught my eye. He is the one that originally drew me to the game. I've not left since. "Unfortunately, in every contest, there must be a loser." It's coming. The beginning of the end. The quarter-finals of the Champions League competition are next week, and to state the ridiculously OBVIOUS, some teams will come out winners and some will come out losers. * Just thought I'd share a brief blurb from a blog post I put up on my other site, specifically related to Mesut Özil's beautiful free kick last week. The words below are an excerpt from Pat Conroy's book, entitled My Losing Season. When I reread them I thought they applied perfectly. Just substitute the word "court" for the word "pitch", and it's like it was written for that very moment! Reminder: All of these photos are from my personal collection and were taken by me. Please do not remove watermarks and link back all photos watermarked with "Conflicted48" to www.headbandsandheartbreak.wordpress.com. They were posted there originally and the lovely bloggers there deserve the recognition. All others may be linked back to this page. Thank you! I did a short post over at sami_khedira so I may just copy and paste if you don't mind! Here's the original post. Please go visit and leave Sami some love! Sami is AMAZING to watch in person. I think I was actually most impressed watching him play live than I was anyone else. 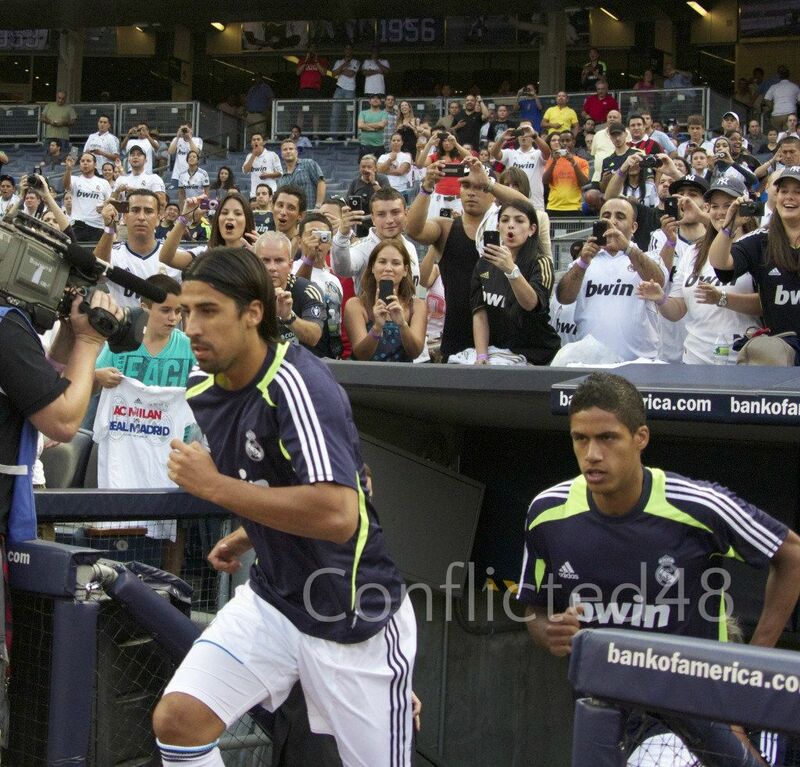 Whereas some players look smaller in real life (like Mesut), Sami looked bigger and stronger. I remember being blown away at the training at his speed, power, and strength. EVERY time it was his turn, it was obvious he was giving 110%. I must have said, "He's such a work horse!" at least 10 times. I don't know how to translate that into adjectives exactly but I think any fan of Sami understands my point. He works so hard, in every instance, and is so STRONG. Yet, he's got a brilliant, gentle first touch that I never saw fail him. I felt privileged for the opportunity to see him play in person! Kaka will always hold a special place in my heart because he was the first individual footballer that ever caught my eye. 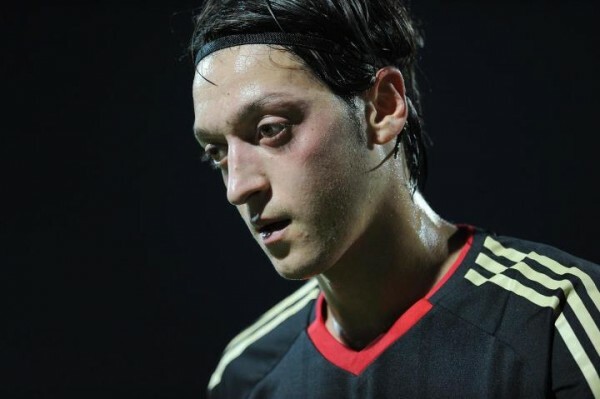 Not just because of his good looks, but because he was just about the only name I knew going into the World Cup 2010. My brother-in-law used to talk about him all the time when he was at Milan. And if I'm quite honest with myself, it's when I found out he played for Real Madrid that I decided to start watching them. Of course he had been injured at the time, but he was just about to be reintroduced when I started watching on a regular basis. So I have some affection for the guy, and V REALLY has an affection for the guy, so we waited desperately to see him come out of the tunnel. 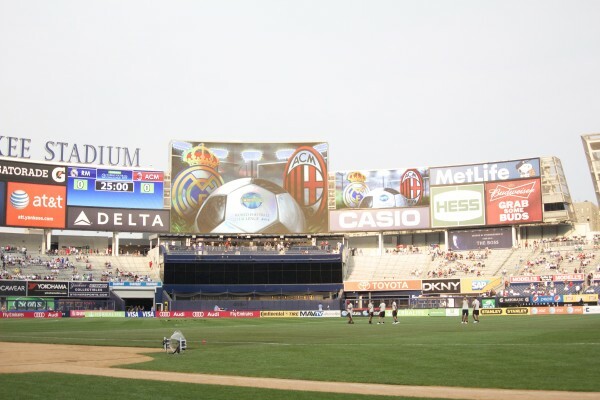 Incidentally, this was the same day that supposed "talks" were going on about his possible transfer back to Milan. You can imagine our concern when he didn't emerge from the tunnel with the other players. V turned to me and said, "Kaka didn't come out!" We took a collaborative sigh and turned back to the field where the game was about to begin. Seconds later she grabbed my arm, shrieked "There he is!" and ran over to the tunnel entrance. He emerged all smiles (of course!) and the crowd roared when they saw him. I wouldn't be surprised if they were all thinking the same thing we had been... He's gone. All of these photos are from my personal collection and were taken by me. Please do not remove watermarks and link back all photos watermarked with "Conflicted48" to www.headbandsandheartbreak.wordpress.com. They were posted there originally and the lovely bloggers there deserve the recognition.